Extreme protection for outdoor athletes. 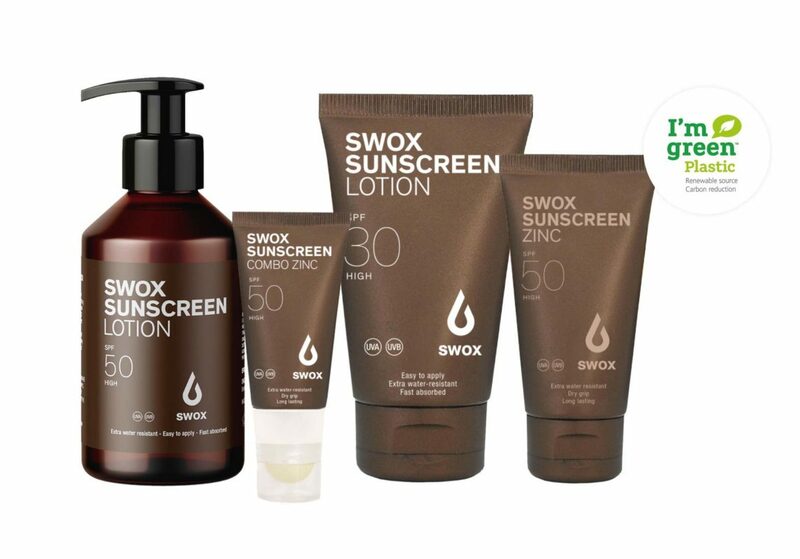 Long-lasting, easy-to-apply sunscreens with eco-friendly packaging. Extreme protection for outdoor athletes. Long-lasting, easy-to-apply sunscreens with eco-friendly packaging. Our new formula contains only what athletes need and leaves out the rest: No perfumes, no parabens, no paba, no oxybenzone, no eye-irritants and no greasy residues. Instead, our products are easy to apply, absorb quickly and are extra water-resistant. Highly effective UVA and UVB filters combined with zinc and titanium for reliable protection from sun-induced damage and irritation. Free from perfumes and alcohol. Additional protection from the antioxidant vitamin E and regenerating provitamin B5. Highly effective UVA and UVB filters combined with zinc and titanium for reliable protection from sun-induced damage and irritation. Free from perfumes and alcohol. With additional protection from the antioxidant vitamin E and regenerating provitamin B5. Highly effective UVA and UVB filters combined with zinc and titanium to protect the most vulnerable parts of your face. Beige-tinted formula without perfumes or alcohol. A highly protective sun lotion for your whole body. Effective and extra water-resistant UVA and UVB filters combined with titanium blockers for reliable protection from sun-induced skin damage. Additional protection from the antioxidant vitamin E and nurturing provitamin B5. A protective sun lotion for the whole body. Effective and extra water-resistant UVA and UVB filters combined with titanium blockers for reliable protection from sun-induced skin damage. Additional protection from the antioxidant vitamin E and nurturing provitamin B5. A protective sun lotion for the whole body. Effective and extra water-resistant UVA and UVB filters combined with titanium blockers for reliable protection from sun-induced skin damage. With additional protection from the antioxidant vitamin E and nurturing provitamin B5. A protective sun protection combination of lotion (20ml) and lip balm (3,2gr). Effective and extra water-resistant UVA and UVB filters combined with titanium blockers for reliable protection from sun-induced skin damage. Additional protection from the antioxidant vitamin E and nurturing provitamin B5. Perfect pocket size for a great day in the Alps. 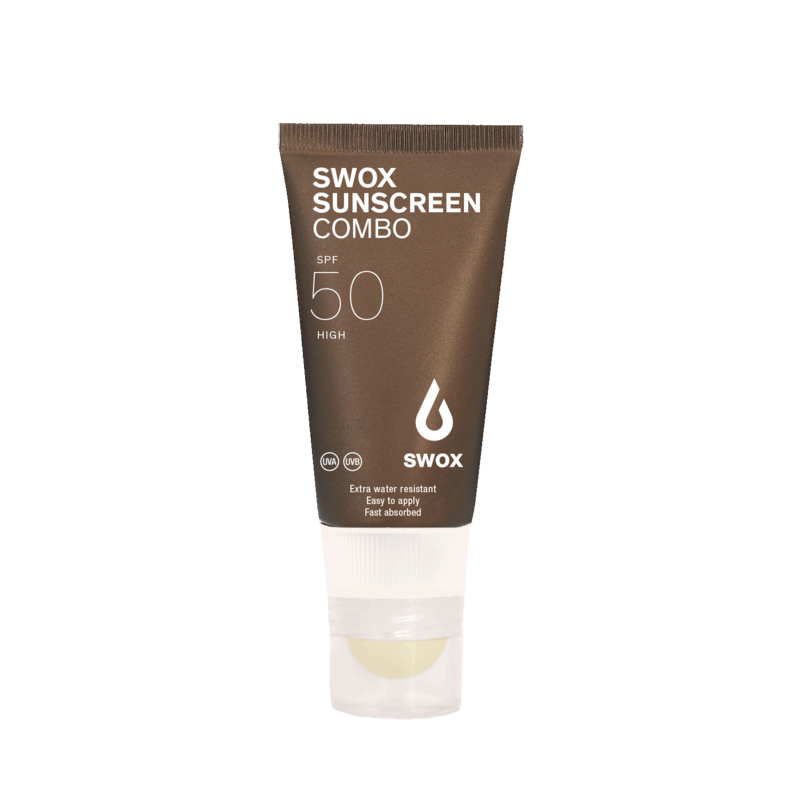 SWOX tubes are made from biobased plastics derived from renewable Brazilian sugarcane ethanol. This process avoids fossil fuels and offsets carbon dioxide emissions.